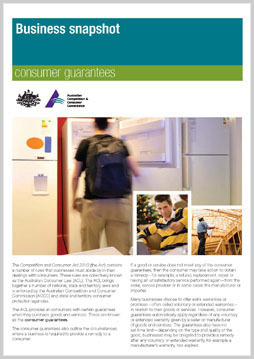 The Australian Consumer Law (ACL) provides all consumers with certain guarantees when they purchase goods and services. These are known as the consumer guarantees. Consumer guarantees automatically apply regardless of any voluntary or extended warranty given by a seller or manufacturer of goods and services.